A Perspecta subsidiary and McKing Consulting have won positions on a potential five-year, $48M contract from the Centers for Disease Control and Prevention to perform geospatial research, analysis and services. CDC awarded $40M to Perspecta’s enterprise services team and another $8M to McKing through the indefinite-delivery/indefinite-quantity contract, according to a FedBizOpps notice posted Tuesday. 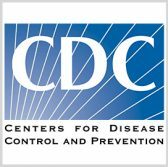 Tasks under GRASP will include science, analysis, technology and visualization support for CDC and its Agency for Toxic Substances and Disease Registry. The program aims to collect, analyze and share geospatial data related to factors that influence environmental health and infectious disease trends, as well as emergency preparedness and response efforts.